Earlier this fall, Twitter employees around the world participated in #TwitterForGood Day — our biannual day of service where employees step away from their day-to-day jobs to partner with community-based organizations, working to improve the neighborhoods where we live and work. Twitter employees have always given back. While we support programs throughout the year, #TwitterForGood Day gives us the opportunity to spend time with our neighbors, and deepen our connections with organizations working to make lives better around the world. From meal preparation and urban cleanup to digital literacy and youth empowerment workshops, Twitter staff teamed up with organizations to strengthen their local communities and make a positive, tangible impact. We conducted more than 85 projects across 26 offices, spanning the entire globe. We worked with more than 1,300 volunteers who provided 3,800 hours of service in close partnership with 80 community-based organizations. Here’s a snapshot of how our employees spent time around the world. We’ve also captured all of it in this Twitter Moment. @TwitterSG kicked off #TwitterForGood Day early in October when employees participated in Gifts of Joy — adopting and fulfilling wishes for underprivileged youth in the community. This initiative, alongside gift wrapping and art jamming, was undertaken in partnership with CapitaLand Singapore (@CapitaLand). This was followed by Singapore's launch of #TwitterForGood Week, bringing together 12 organizations for trainings, conversations, and workshops. @TwitterJP partnered with Médecins Sans Frontières (@MSF) to conduct workshops with students and teach them about their work with refugee communities. Other members of the team spent the day at a local dog shelter operated by NPO Peace Wanko Japan. Later this year, @TwitterJP will host a neighborhood cleanup with Chuo Ward Council, as well as a workshop for Tokyo Suicide Prevention Centre. @TwitterKorea partnered with Lifeline Korea (@LifelineKorea), one of Twitter’s #ThereIsHelp partners, as well as a key organization working on suicide prevention. The Twitter team took to the streets promoting the #LovingMyLife campaign to raise awareness for mental health and suicide prevention. The team made banners with slogans like “Call Me When You Need,” “It Is OK If You Are Not OK,” and "Together We Can Stop Suicide," and also handed out messages of self-love to more than 600 people on the street near Yeoksam Station, one of the largest business districts in the nation. For its first #TwitterForGood Day, @TwitterPH joined the Community Day at Cribs Foundation (@CRIBSFamily), a non-governmental organization that provides temporary shelter to young children experiencing neglect and abuse. The team spent time getting to know the children and provided lunch to volunteers. In the coming weeks, @TwitterPH will donate furniture to support youth at the Cribs Foundation. @TwitterAU partnered with Youth Off The Streets (@YOTSAustralia), a community organization working for young people who are homeless, drug dependent, and recovering from abuse. Volunteering at Youth Off The Streets’ Sydney campus, Twitter employees painted, cleaned, gardened, and put their novice cooking skills to the test by helping with food prep. After providing Ads for Good and ads dashboard training earlier this quarter, @TwitterID organized a “campaign on Twitter” training for Down to Zero Alliance, a non-governmental coalition advocating better protection for child sexual exploitation online. The training shared tips for successful campaigns based on the Alliance’s current campaign. The Indonesia chapter of the coalition is led by ECPAT, which is also a member of our Trust and Safety Council. In January, @TwitterDublin voted for and selected Peter McVerry Trust (@PMVTrust) as its annual charity partner. Peter McVerry Trust is an organization that seeks to reduce homelessness and the harm caused by drug dependency and social disadvantage. @TwitterDublin set a fundraising target of €8,000, which would help refurbish a house for a homeless family. On #TwitterForGood Day, the office conducted a variety of projects to support the charity, organizing a call center to contact businesses on behalf of the charity to update their database, creating care kits to distribute to those in need, and visiting their detox center to see the great work they do and assist in their garden. More than 20 employees hosted 80 school children from disadvantaged areas to share about careers in tech, conduct workshops on digital literacy, and lead office tours. Alongside all these efforts, the team successfully hit the €8,000 target by the end of the day. @TwitterUK partnered with AgeUK (@ageuklondon), the British Heart Foundation (@TheBHF), Food Cycle (@foodcycle), and local schools to conduct a variety of projects from coding classes for teen girls to technology support for seniors. @TwitterEspana joined the Spanish Committee for Refugees (@CEARefugio) at their emergency center for refugees in Madrid’s city center. The team supported the daily needs of the center, putting together emergency kits and arranging the center’s store closet. The @TwitterDE team in Hamburg spent the day building a new kitchen with Bürger helfen Bürgern e.V. Hamburg in Rothenburgsort (@EngagementHH), a local facility that serves breakfast and lunch to individuals experiencing homelessness. @TwitterMENA partnered with the Dubai Center for Special Needs (@dcsn), which addresses the diverse academic, physical, social, and emotional needs of students with special needs. @TwitterMexico partnered with Ya Respondiste A.C. (@YaRespondisteAC) to provide meals for families of patients from public hospitals in Mexico. Twitter employees joined forces to cook more than 250 meals that were distributed to Hospital General (HGM_OD), the largest public hospital in Mexico City. @TwitterBrasil partnered with Casas André Luiz (@CasasAndreLuiz), an institution that takes care of 1,600 people with intellectual disabilities, and serves as permanent housing for 570 of them. Twitter employees prepared decorations for their annual Christmas night for patients, refreshed and revitalized a playground, socialized with residents, and assisted with everyday tasks. @TwitterCanada started off the day participating in a community breakfast to support “Sick Kids vs. Limits,” which is the battle to bring the best care and the best future to kids at their bedside. 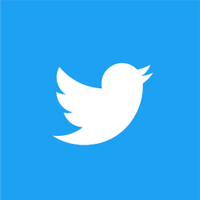 Twitter also participated in the Forum for Media and Suicide in Canada, a meeting connecting journalists, public and mental health professionals, and, for the first time, social media stakeholders to share best practices for tackling and approaching issues in the media. Twitter employees then served lunch to residents of Matthew House (@mhouseto) in Toronto, a home for newly arrived refugee claimants who would otherwise be homeless. The transition home provides long-term support to vulnerable residents such as unaccompanied teens and single mothers. @TwitterDC had their hearts warmed at a local DC public school, Garrison Elementary School (@garrisondcps), by partnering with Children’s Charities Foundation (@CCFoundation) to host a coat drive. Twitter employees read books to first graders, shared their career path to fifth graders, and ensured school kids had a brand-new, properly fitting coat. @TwitterNYC partnered with 14 organizations across New York City, including Pursuit (@joinpursuit), an intensive program that trains adults to become computer programmers. Twitter engineers led a career development workshop and coached students in small groups in preparation for these students to get their first tech jobs. Back at the @TwitterNYC office, students from New Dorp High School learned about the Twitter work culture in a panel moderated by CMO @LeslieBerland. @TwitterBoulder kicked off #TwitterForGood Day early in October. They spent the day conducting projects with six local nonprofit organizations, including cleaning up at the Humane Society of Boulder Valley (@HumaneBoulder), working with youth at the Boulder YWCA (@YWCABoulder), throwing a Halloween party for youth at Family Learning Center (@flcboulder) and Boulder Safehouse (@FollowSPAN), building planters and a ga-ga court at Uni Hills elementary school, and processing food donations at Harvest for Hope. @TwitterBoston volunteered with the Rose Kennedy Greenway (@HelloGreenway), one of Boston’s key public parks that brings together millions of visitors each year. The Greenway Conservancy is committed to operating and maintaining the Greenway parks through sustainable landscape practices, while ensuring the safety of all its visitors. In this spirit, Twitter employees spent the day helping with park maintenance, winter preparations, and landscaping. @TwitterMiami partnered with The Miami Foundation (@MiamiFoundation) to participate in Give Miami Day, one of the largest annual giving events in the Southeast United States. Held online, Give Miami Day allows individuals to make a philanthropic impact by collectively supporting local nonprofit organizations. In 2017, Give Miami Day made history, raising $10.1 million for almost 700 local nonprofits. @TwitterATL worked with The Backpack Project (@backpack_inc) by packing more than 2,000 backpacks for individuals experiencing homelessness. The Backpack Project aims to ease the burden of homelessness by packing and hand-delivering backpacks filled with essential supplies, fostering personal relationships, and connecting clients to critical homeless services. @TwitterChicago partnered with UCAN (@UCANchicago), one of Chicago’s oldest social service agencies. Through compassionate healing, education and empowerment, UCAN provides critical support to at-risk children, youth and families. On #TwitterForGood day, @TwitterChicago worked with local youth to paint murals and spruce up the UCAN conference rooms. @TwitterLA teamed up with Habitat for Humanity (@HabitatLA) to honor Veterans Day by refreshing and revitalizing permanent housing for 1,500 military veteran residents of the Century Villages at Cabrillo (@CVCLongBeach) in Long Beach, CA. The campus provides dignified, affordable housing and economic opportunity to help break the cycle of veteran homelessness. Employees pruned and landscaped 130 fruit trees, cleaned up gardens, and built and painted a new shed. @TwitterSeattle volunteered with Food Lifeline (@FoodLifeline) and Seattle Humane Society (@SeattleHumane). Twitter employees participated in Food Lifeline’s “Fall Frenzy” fundraiser, raising more than $500 in monetary, food, and clothing donations for hundreds of families in need. Meanwhile, other employees organized, cleaned and played with furry friends, as well as hosted an in-house #TwitterForNonprofits session on Twitter best practices. On #TwitterForGood Day, @TwitterSF partnered with more than 22 nonprofit organizations to conduct service projects across San Francisco. To start the day, @TwitterStripes teamed up with Vets Alley to prime murals in the Tenderloin and highlight stories of the veteran community. @TwitterData conducted our second official #DataForGood project with GLIDE (@GLIDEsf), where employees shared insights on improving data collection and analysis. Meanwhile, @TwitterStudio led a design-thinking workshop for students from Oakland Digital (@OaklandDigital), sharing about the design cycle and offering ways to improve the organization’s online platform, BRIDGEGOOD. @TwitterSF finished off the day making a record-breaking 15,000 sandwiches that were distributed to homeless neighbors in partnership with The City Eats (@TheCityEats) and Food Runners (@FoodRunnersSF).